Arrested, again: Why Carlos Ghosn has been detained, what is different now? Japan's Supreme Court has rejected an appeal by lawyers for Carlos Ghosn against his detention, local media said Saturday, dashing the former Nissan boss's hopes for an early release. The 65-year-old former auto tycoon had appealed to Japan's highest court after lower court judges ruled he could be questioned for a 10-day period until Sunday over allegations of financial misconduct. But the court slapped down the appeal without explaining the ruling, Jiji Press and Kyodo News reported. Immediate confirmation of the reports was not available. On Friday, the Tokyo District Court had already further extended his detention until April 22 as prosecutors continue grilling him. Authorities must then either press formal charges, release him or re-arrest him if they believe he has additional allegations to answer. Prosecutors are looking into allegations that Ghosn siphoned off some $5 million from funds transferred from Nissan to a dealership in Oman, and spent the money on a luxury superyacht. Ghosn has not been formally charged over these allegations. But the tycoon does already face three separate charges. Two of these relate to millions of dollars in salary believed to have been concealed from shareholders. The third charge is that he sought to shift personal investment losses to company books. 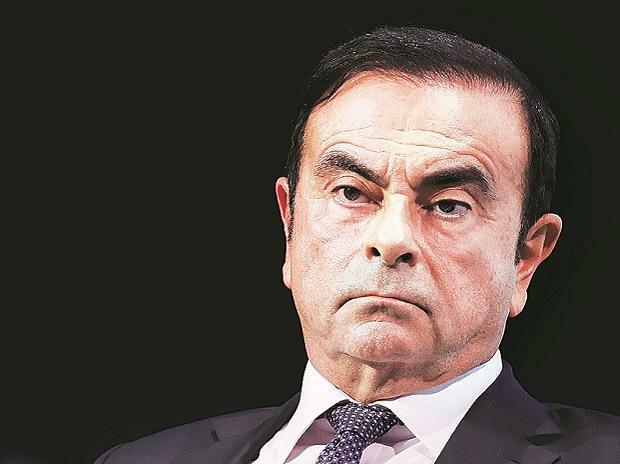 Ghosn denies all allegations and lashed out in a video message -- shown on April 9 -- at what he termed a "plot" by "backstabbing" Nissan executives scared of closer integration with French partner firm Renault. The case has bewitched Japan and the business world since the tycoon was arrested out of the blue at a Tokyo airport on November 19 and whisked off to the detention centre. He spent 108 days in an initial period of custody, in conditions he said he would not wish on his "worst enemy", forced to sleep with the light on and forbidden from contact with his loved ones. He then won bail, stumping up $9 million for his freedom and submitting to strict bail conditions including not using the internet or contacting anyone connected to the case. But in another twist, he was then re-arrested in a dawn raid on April 4 for more questioning. Once hailed as Nissan's saviour, Ghosn is fighting to restore his reputation after he was removed almost immediately from the head of the company and later resigned as boss of Renault as he fights the allegations. His lengthy detention has sparked some criticism of the Japanese justice system, derided by some as "hostage justice" as suspects can be held for a long time without formal charges.